Sebastian joined Watsi on September 20th, 2016. Two years ago, Sebastian became the 2385th member to automatically support a new Watsi patient every month. Since then, 2,702 more people have become monthly donors! Sebastian's most recent donation supported Olive, a woman from Kenya, to fund thyroid surgery. Sebastian has funded healthcare for 39 patients in 11 countries. Jackson is a child from Kenya. 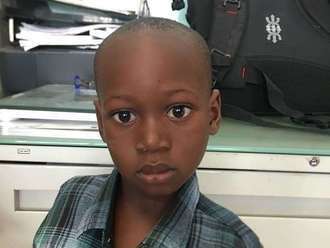 Jackson was born with an anorectal malformation, a congenital abnormality that leads to a complete or partial intestinal blockage. He needs to undergo a series of procedures to eliminate bowel dysfunction. Jackson is scheduled to undergo surgery to correct his condition on February 15. Our medical partner, African Mission Healthcare Foundation, is requesting $1,327 to cover the total cost of Jackson's procedure and care. After his recovery, Jackson will no longer experience bowel dysfunction or be at risk of developing health complications in the future. “Please help us and we will appreciate,” says Jackson’s father. Davidson is a preschooler from Haiti. He lives with his parents and older brother in a neighborhood of Port-au-Prince. He will start preschool once he recovers from surgery. Davidson has a cardiac condition called Tetralogy of Fallot. This condition involves several related defects, including a hole between two chambers of the heart and a muscular blockage of one of the valves. On October 10, he will undergo cardiac surgery at St. Damien Hospital, our medical partner's care center. During surgery, surgeons will close the hole with a patch and remove the muscular blockage. Another organization, Gift of Life International, is contributing $5,000 to pay for surgery. Davidson's family also needs help to fund the costs of surgery prep. The $1,500 requested by our medical partner, Haiti Cardiac Alliance, covers cardiac exams and medications. His mother says, "I will be very relieved for this surgery to be over because I have been very worried about my son's health." 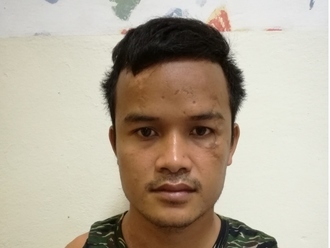 Sokchea is a tuk tuk driver from Cambodia. He has two sisters and four brothers. He likes to play football and listen to music in his free time. Five years ago, Sokchea had an ear infection. This infection caused a cholesteatoma, or an abnormal skin growth, to develop in the middle ear behind the ear drum. For this reason, Sokchea experiences pain, ear discharge, tinnitus, and hearing loss. He has difficulty hearing. 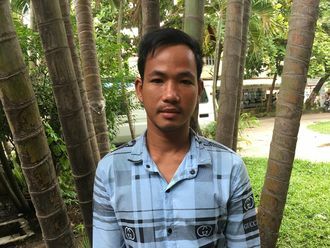 Sokchea traveled to our medical partner's care center to receive treatment. On August 9, he will undergo a mastoidectomy procedure in his right ear. During this procedure, ENT surgeons will remove the cholesteatoma. Our medical partner, Children's Surgical Centre, is requesting $842 to fund this procedure. This covers medications, supplies, and inpatient care. His sister in law says, "We are happy he can have this operation and have good hearing again." Nkizayaha is a farmer from Uganda. He is married and a father of four children. For four years, Nkizayaha has had an inguinal hernia. This causes him pain and discomfort, and if not treated, Nkizayaha may suffer intestinal tissue blockage and damage. Fortunately, on May 9, he will undergo hernia repair surgery at our medical partner's care center. Our medical partner, African Mission Healthcare Foundation, is requesting $249 to fund Nkizayaha's surgery. Once completed, this procedure will hopefully allow him to live more comfortably. He says, "After surgery I will go for a thanksgiving mass in church and resume my farming."